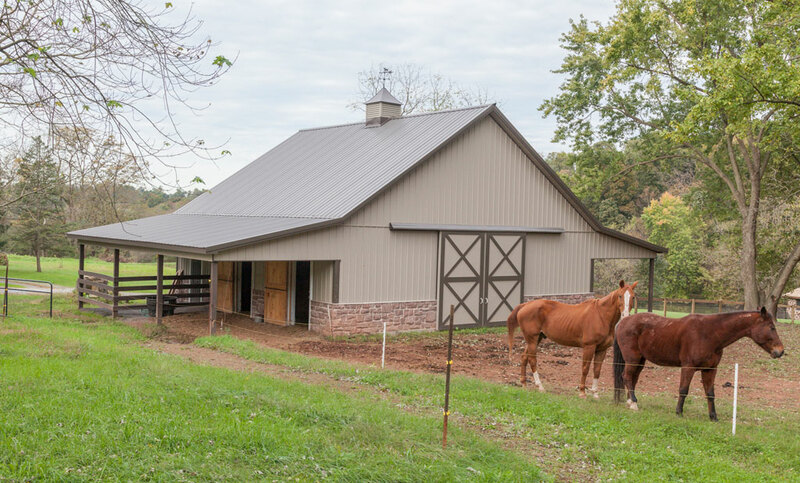 Whether you need an equine structure to fit an entire herd, or just a few favorite horses on your family farm, the custom horse barn builders at Conestoga Buildings are ready to help. 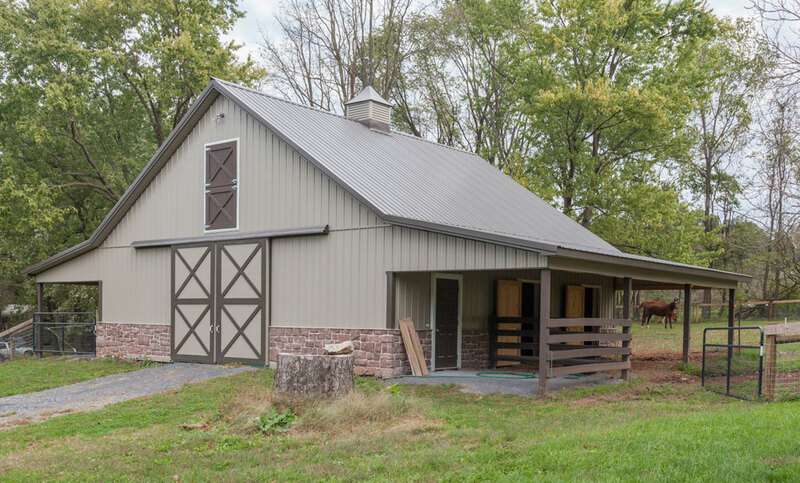 We recently completed a five-stall custom horse barn for a family-owned farm in Hershey, PA. 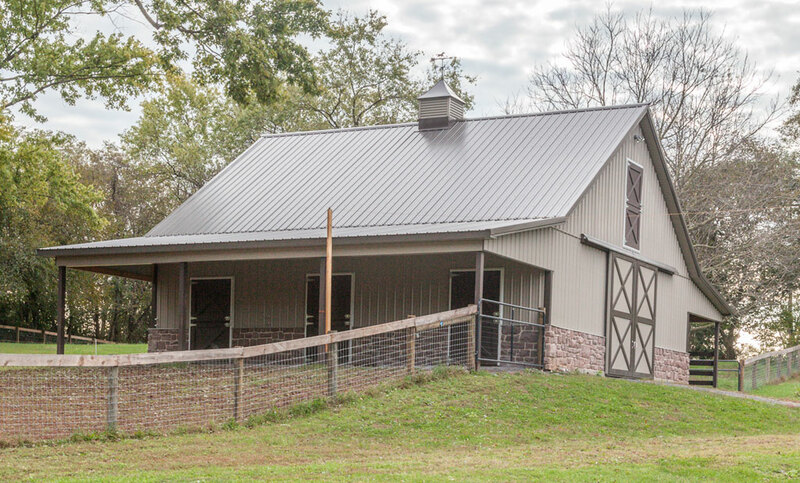 The owners came to us wanting a simple, stylish barn to keep their horses safe and comfortable throughout the year. As a leading custom barn builder, our team of designers guided the property owners through the entire process. They chose understated neutral siding and a brick face to complement the natural woods and fields surrounding the farm. Classic barn-style sliding doors with cross-pattern wood plank detailing gave the building a timeless appeal. And, it’s sloping, extended roof gave horses an area outside the stall that’s always dry and keeps rainwater away from the stall entrances. Inside, the barn stays simple and functional with stalls, a storage room, and overhead hay loft, giving the owners everything they need to care for their horses and enjoy time spent on the farm. Contact us today and let us work alongside you to create the custom barn of your dreams that both you and your horses will love.